Fresh from his defeat of King Harold at the Battle of Hastings, William of Normandy has returned home in triumph, accompanied by the English nobles he cannot trust to leave behind. For Waltheof of Huntington, however, rebellion is not at the forefront of his thoughts. From the moment he catches sight of Judith, daughter of the King’s formidable sister, he knows he has found his future wife. I've read a few of her books, and I should read more. I love historical fiction set in medieval England. 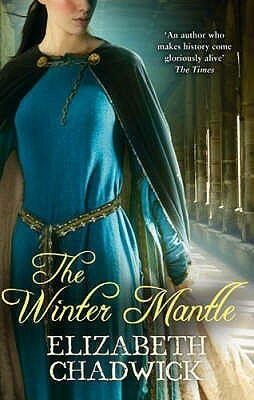 Will there be another book do you think that focuses on her marriage to the King of Scotland? the ending sounds like a let down. Some of her books work for me but I am not sure about this one. I love her books but haven't read this one yet. How old was too old? Like geezer status? At least it was still good even if not her best. I have read a couple of works by her and I do like her writing. Bummer. But on to the next! Still need to pick up an Elizabeth Chadwick book. I've got a few others on the list. However, these are historical figures I'm unfamiliar with so now I'm curious about them. That's cool. So the POV changes to the next generation in a way. still have this one to read ... don't want to run out of EC's.